Google+ Hangouts offers a perfect solution with the group conversations chat functionality we created a company group so that all members can post updates, ask colleagues a question, post photos and videos of projects they are working on. 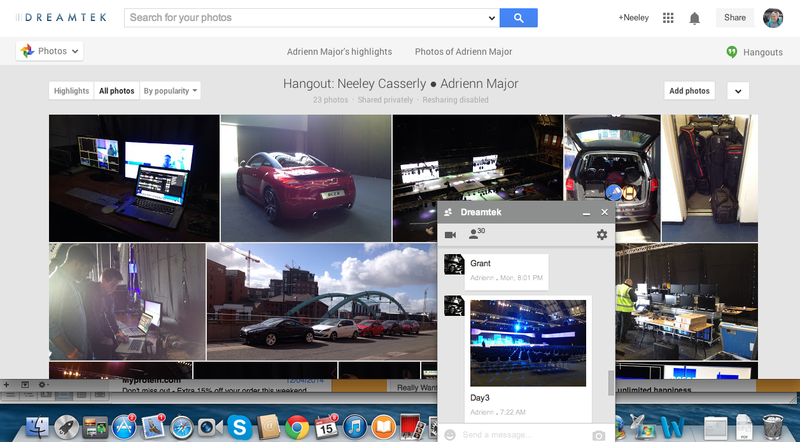 Google+ Hangouts is available on desktop and mobile, so even on the go you can keep up to date with what’s happening in the office – or if colleagues are at a trade show the office staff can see what’s happening too. Finding your on-going conversations across devices and picking them back up is simple. You can scroll back through past Hangouts to re-live what you talked about. Every morning we use Google+ Hangouts video chat to have our team meetings, so team members can see each other and share any information they need to. 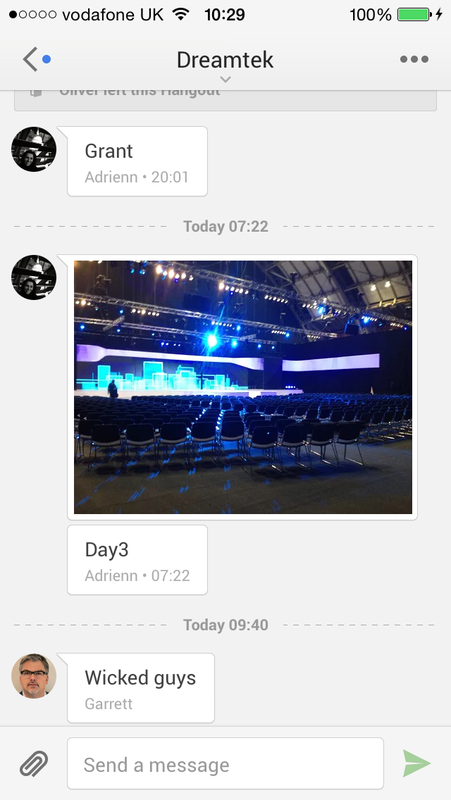 And for a bit of fun you can even add apps and effects to your chats such as the YouTube app to share videos or adding hats and eyewear! We conduct a number of our client meetings and demos via Google+ Hangouts as it’s such a quick and easy way to be face to face with up to 10 people and share information. We also use Google+ Hangouts On Air when we record our customer events so that people who can’t make it to the physical event can watch and be a part of the event – the great bit is that it’s all stored on YouTube after the event giving you that SEO juice you need to help boost your SERPs.